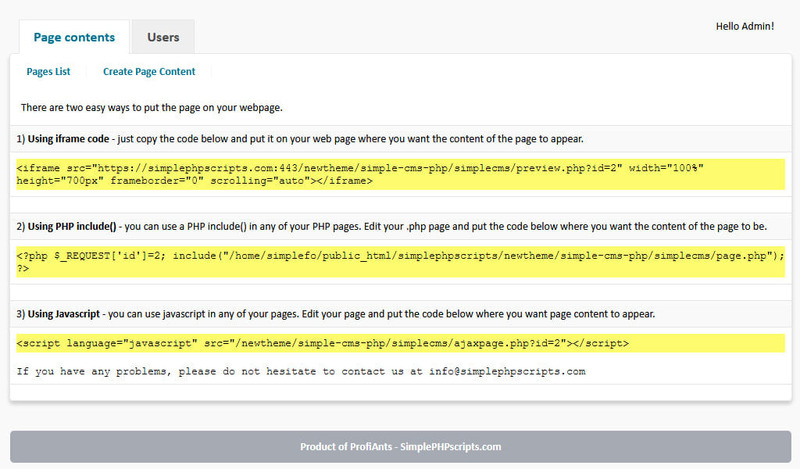 How to install Simple CMS PHP script? Setting MySQL database. 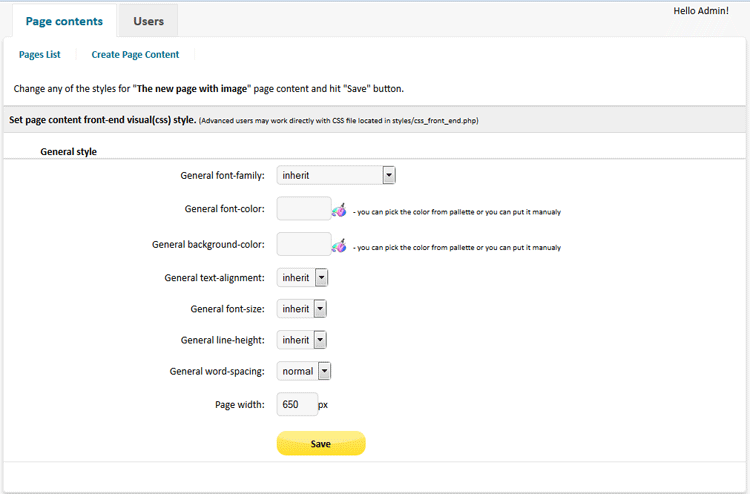 Unzip or unrar, upload and install Simple CMS PHP. 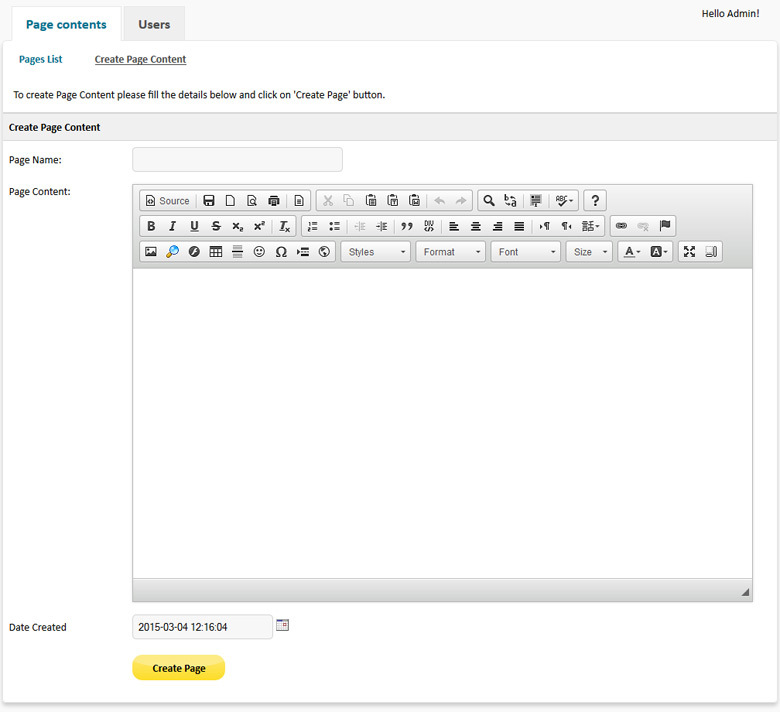 How to use the Simple CMS PHP. CSS - Visual Options. Create Users. 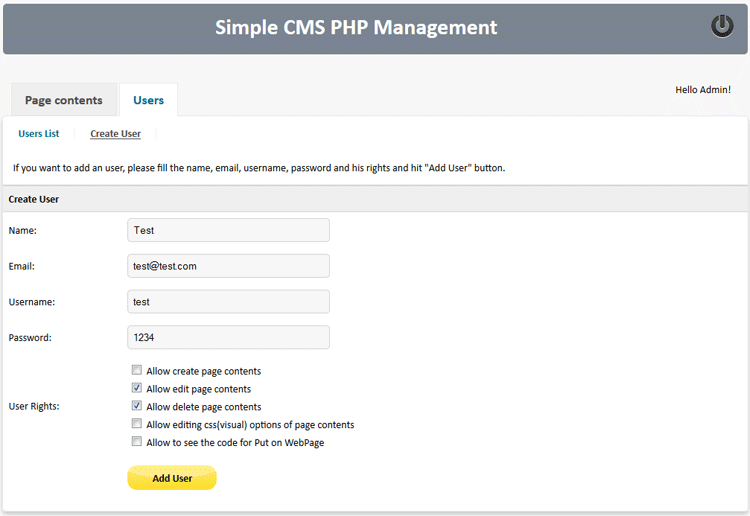 How to install Simple CMS PHP? 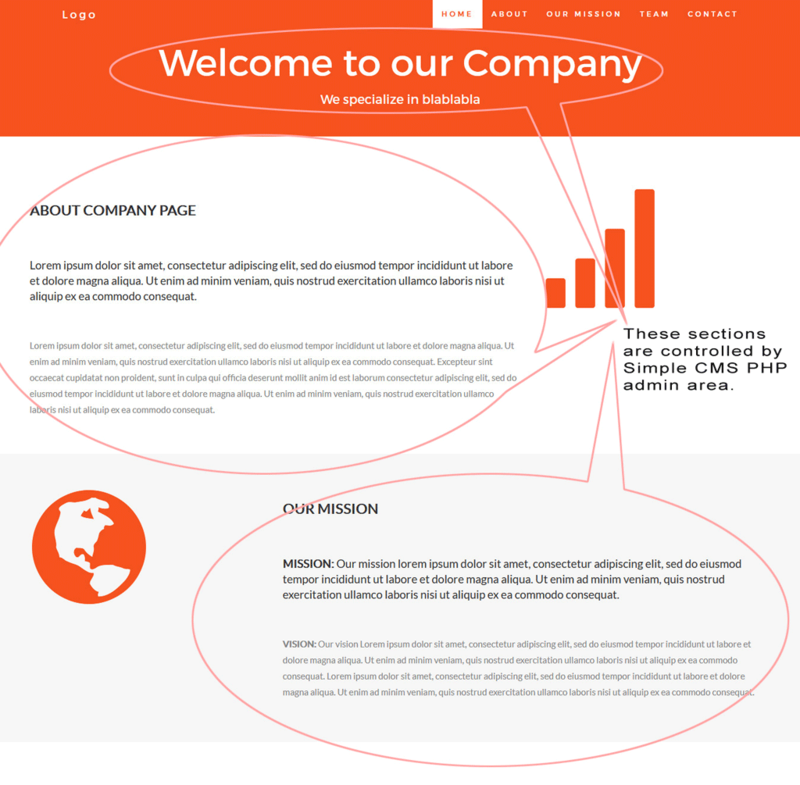 Simple CMS PHP requires PHP 5.3 or higher version and MySQL 5.0 or higher version to run on your server - you can see the current version of PHP and MySQL in the control panel of your website. 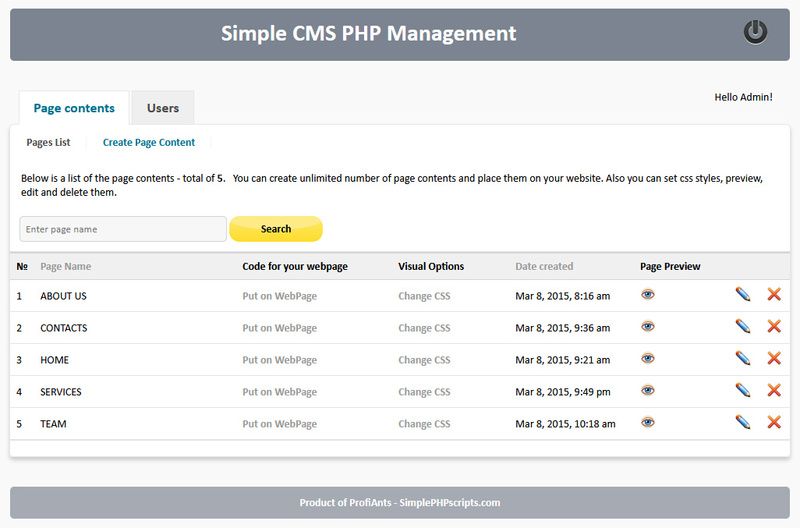 How to use Simple CMS PHP? Fill the Name, email, username and password, then choose the access level - "create", "edit", "delete" page contents, allowing edit css styles of page contents, and/or allow to see and copy the code for page contents.